NOW: Ok, so this is kinda my No-Twin Tuesday. But it is a little late. Sorry. I’ve just been so behind, and it’s hard to get everything done when my only free time is naptime. There’s a lot I’ve wanted to do this summer around the house and I just kept putting it off and putting it off and now it’s August. So the blog has gone by the wayside a little bit. I started typing this yesterday, but my internet went down. So there you have it. 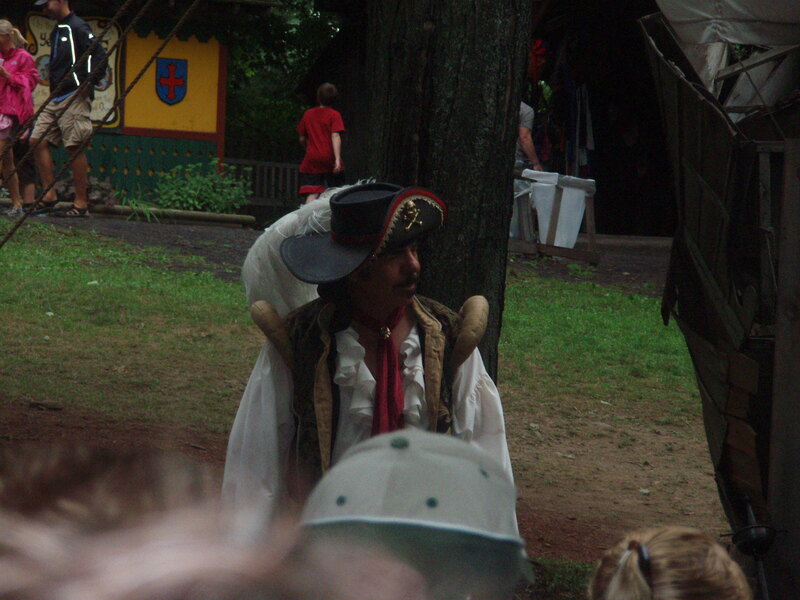 Last Saturday, my dad and I went to the Sterling Renaissance Festival. We go every year, and have been going every year together, just us, for a few years now. In fact, that’s been his birthday present for a while now; tickets for the festival, and a gift certificate for either breakfast, gas, or dinner. I love that this time is reserved every summer for just my dad and I. No one else around us really loves it as much as we do, which works out just fine in my opinion. Perhaps one day we will start bringing the kids – but then we’ll have to go twice, once with them and once without. 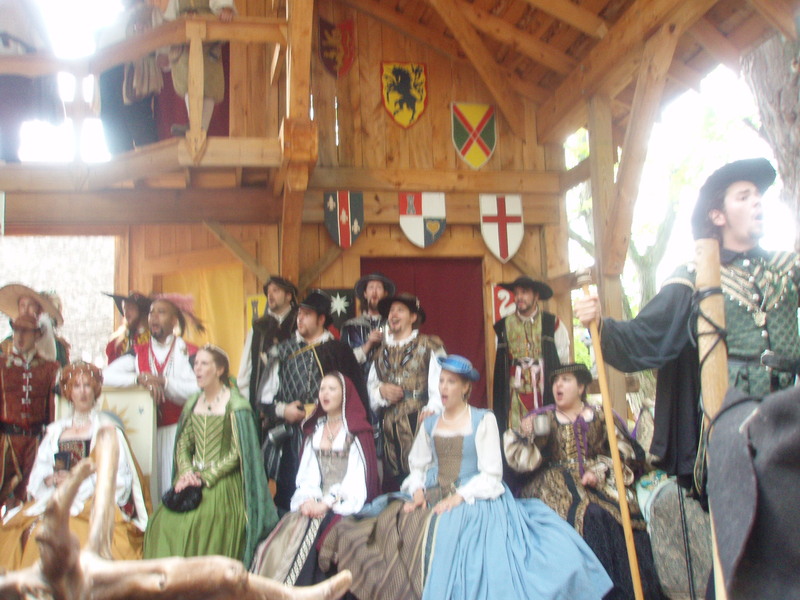 If you’ve never been to a Renaissance Festival, I highly recommend going at least once. It’s a pleasant escape from reality. It’s so much fun watching the characters throughout the day as they interact with each other and the guests. The shows are always great and the food is excellent! My dad and I almost always stick to the same shows. 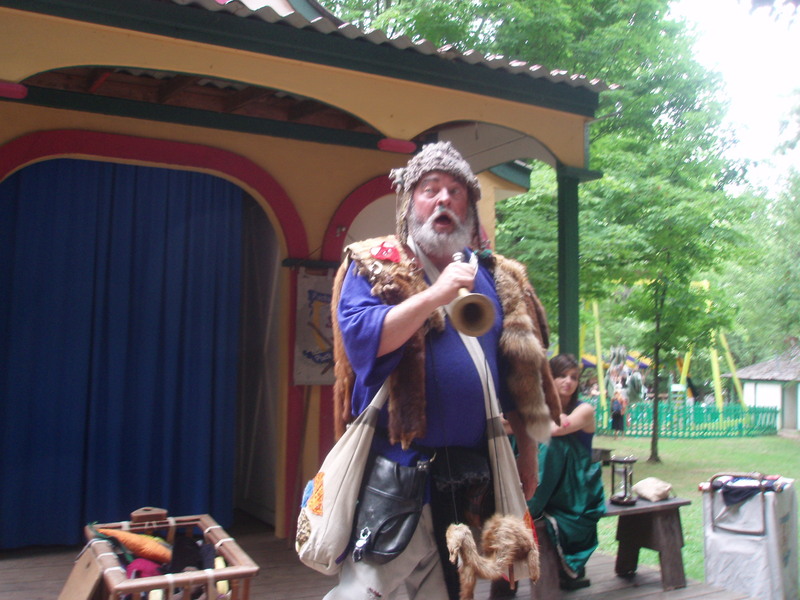 We started this year with Johnny Fox (it’s a stage name…..his real name is John Fox). 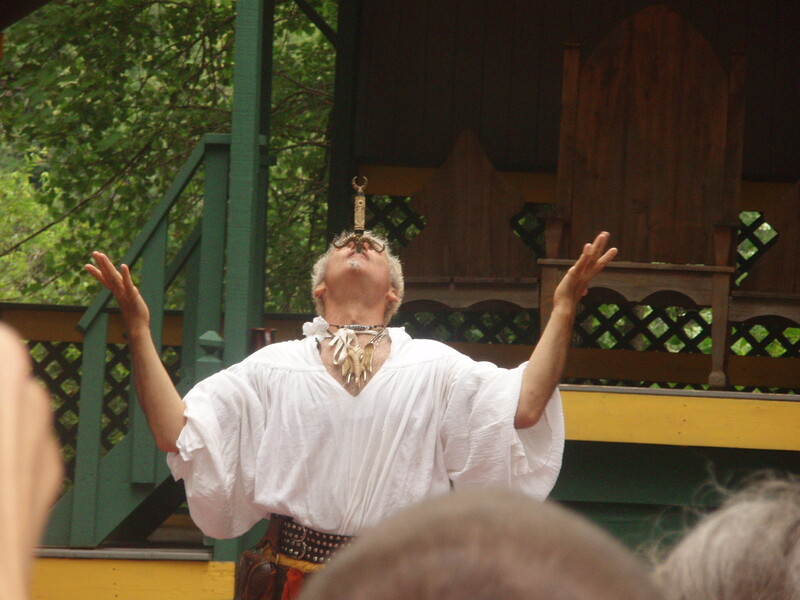 He’s a sword swallower. For Real. It’s funny because we practically have the show memorized, but we still cringe or laugh when appropriate. The mark of great entertainment. We like to make sure to see all of our favorites, so the majority of our day is spent sitting and watching shows. Some people choose to wander more, and catch more impromptu performances, but we’ve never done it that way. We headed over to Dangerous Dan next. We don’t see him every year because his show freaks me out a little. 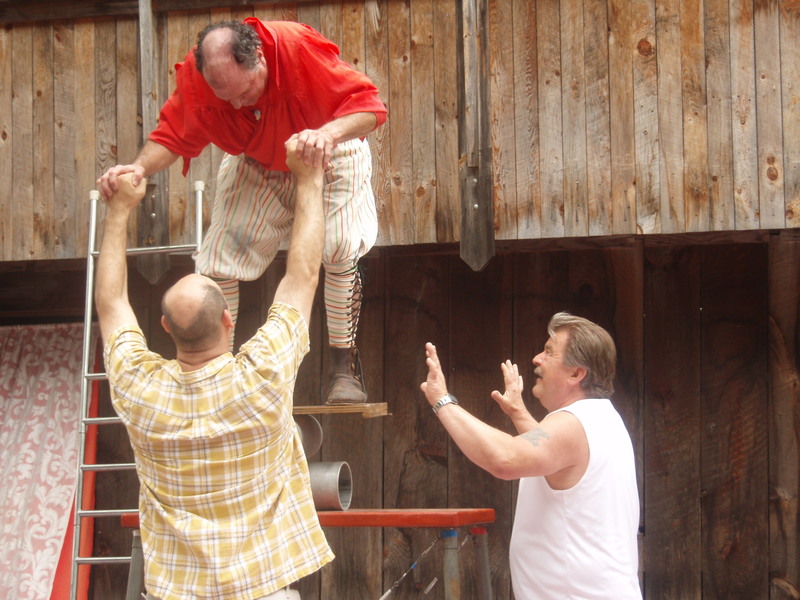 He’s an acrobatic performer and balances on high tables, ladders, etc. I don’t like heights, even when it’s other people. And he acts as though he doesn’t know what he’s doing so that scares me even more. I know it’s just part of the show, but I still get nervous that he will fall. My dad got picked to help him out with a trick this year. He’s standing on the right. I always have a turkey leg for lunch, we split salt potatoes, and my dad had a chicken shish-ka-bob with rice. Yum! 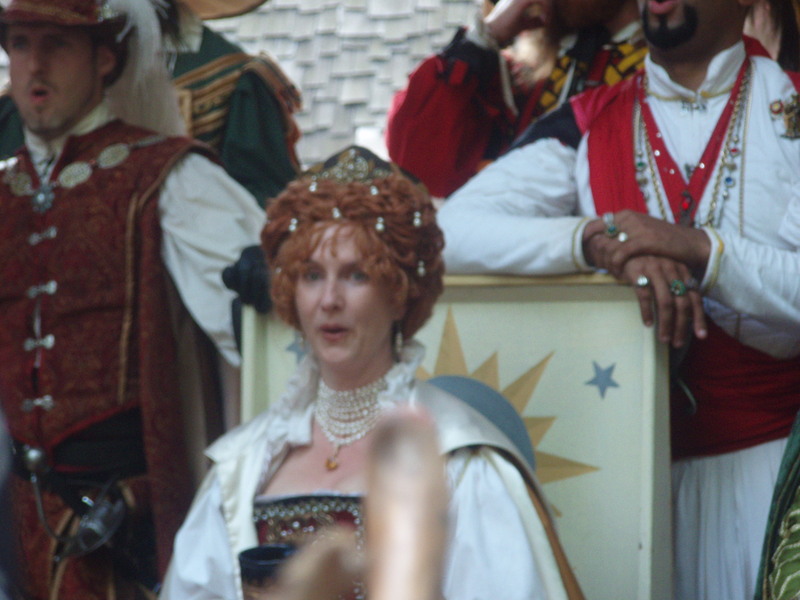 A lot of Renaissance Fair is about the eating. And the beer! But my dad doesn’t drink since he was diagnosed with Type 2 Diabetes, so I don’t get beer either. It’s too bad because I really wanted one this year but no big deal. We never miss Emery Fleet and his Rat Extravaganza. This is my favorite show. Again, the jokes are the same every time. Every show. Every year. But we still laugh. Every time. I even bought my own pet rat to take home this year. It was free with every $10 donation. This year we tried someone new. A hypnotist. We left after 15 minutes of his show. It was just boring. We would have left sooner but we kept hoping something would happen. 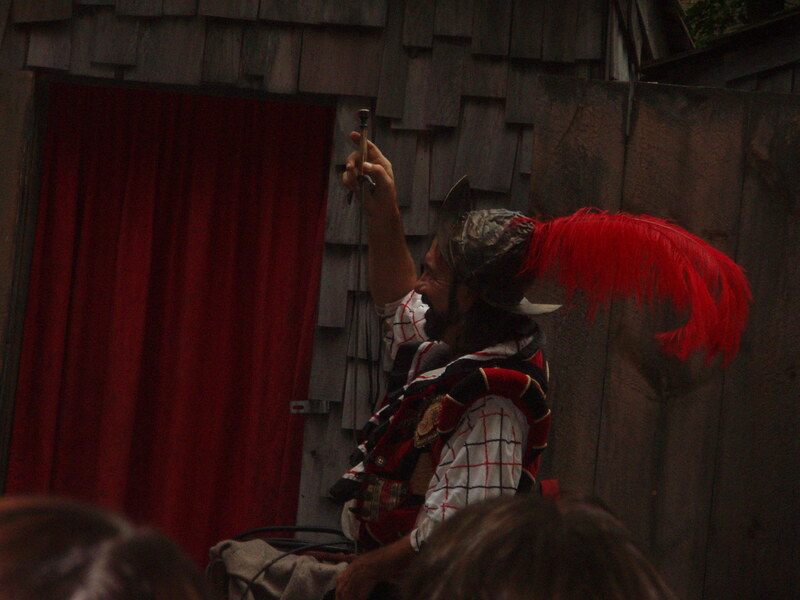 We went to an early dinner so that we could catch Don Juan and Miguel’s Weird Show. They have four different shows throughout the day but the last one is called the Weird Show. It’s basically always the same every year, but they do some different jokes. 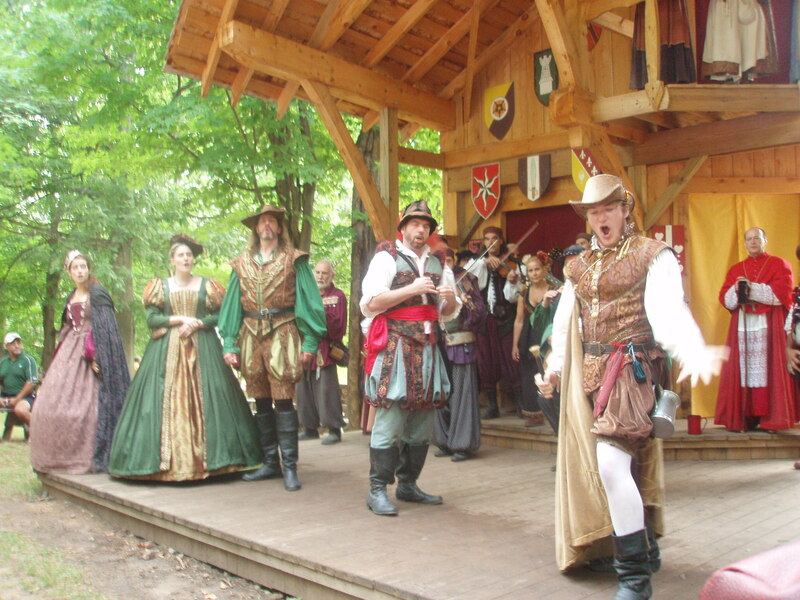 They whip things and sword fight, too. So it was just so relaxing and fun and nice. What a great tradition. This is now. THEN: I knew I had to stay in the hospital at least until Saturday afternoon because they wanted to monitor the proteins in my urine for 24 hours. On Saturday morning, the texts started coming. Tim had gone to the draft the night before and of course, had told all the guys what had happened and that I was in the hospital. They, of course, went home and told their wives. The wives, my friends, started texting me as soon as it was appropriate in the morning. I’ve said it before. I am so lucky to have such a great group of friends. It made me feel so loved to get all of those well-wishes and concerns and thoughts and prayers. Then, because so many people had found out what was going on from word-of-mouth at the draft, we figured we better let a few other people know, those who weren’t there. Steve and Mariah were out of town, and we also let my friends Melanie and Deanna know what was going on. I still wasn’t really worried. I figured I would just leave and be on bedrest starting that night. No problem. So even though I was touched at the outpouring of thoughts from our friends, I didn’t even feel that it was justified. I was fine, I knew everything was going to be ok.
Tim’s sister called that afternoon also. She’s always so helpful, and wanted to know if anything could be done around the house that I didn’t get to do because of being stuck in the hospital. At first I brushed it off, but then I suggested the laundry. She was going over there to let the dogs out and feed them anyway. So she does a couple loads of laundry and then decides to take a shower while she’s there. After her shower she goes back down to the basement and finds…..a flood of dirty water. The stationary sink had backed up and between the washer pouring into it, and the shower going…..it had overflowed. She didn’t know what to do! She was mortified that she had tried to help and I was going to come home to this. So she called her dad who suggested just calling us. It had happened before, so I told her just to call Roto-Rooter. She was so upset that she even had to call and bother us. It actually was better this way. She and her dad took care of everything. If I had been home, I would have had to deal with it! I told her that and she laughed and felt better. What a mess this was. By Saturday night, they still didn’t really have any answers for me. Other than I was going to have to stay in the hospital at least one more night. The proteins were still high, my blood pressure was fluctuating – high sometimes, almost normal other times. The contractions that I couldn’t feel had basically stopped. They also had given me two shots – steroids, so that if I ended up delivering, it would help the babies’ lungs be better developed. I asked if there was anything bad that could come of getting this steroid if I didn’t end up delivering, and they said no. I was absolutely convinced that it would not happen. I felt fine, and they all seemed to think this was no big deal. I suppose they deal with it all the time. They moved me to a different floor, actually the maternity recovery area, because I was staying more than 1 night. I sent Tim home again that night. He was exhausted and I wanted him to stay with the dogs, check out the basement, and just sleep in his own bed. Honestly, I thought I’d sleep better if I was by myself. And actually, he was supposed to work the next day. He was going to try and call his boss in the morning to take the day off, but just in case he had to go in, I wanted him to be home to sleep that night. It actually was more peaceful to be by myself. Even though nurses kept coming in every hour and I was up by 6 am. I still felt that I had slept better than the night before. That was then.